When it comes to keeping a squeaky clean and shiny car, there’s really no substitute for washing, waxing and detailing it by hand. In-and-out washes can’t properly rinse an automobile or evenly apply wax, no matter how advanced the technology. It can also be expensive to get your car detailed by a professional. 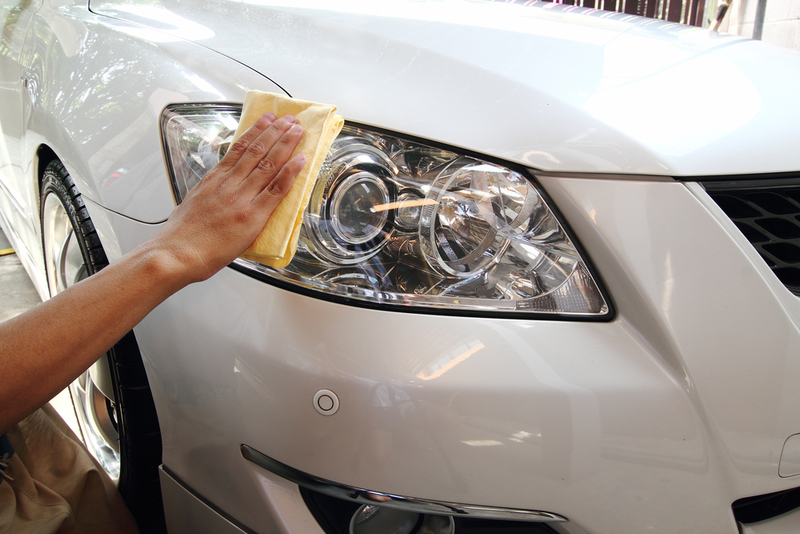 With the proper tools and careful attention to detail, you can easily wash and wax your ride to a glistening shine. Detailing your car can seem like a daunting task, but with the right materials, you’ll be cleaning it like the pros in no time. Before you begin, make sure your vehicle is parked out of direct sunlight, in a cool, well-shaded spot. The sun’s rays can dry water too rapidly, leaving nasty spots on the paint that can be hard to remove. In fact, a “sunny day car wash” tops CNN’s list of things you should never do to your car. Some products are designed to combat blotches and streaking, so it’s helpful to purchase quality cleaning solutions and microfiber towels. A weekly wash will help remove tree sap, bird droppings, salt and other unwanted blemishes from your car’s exterior. Fill a bucket with warm water and some car wash soap, following the instructions on the bottle. To slough off debris and dead bugs, spray the car’s exterior with warm water. Then, with a clean microfiber mitt, apply the soap in long, even strokes. It’s best to start with the roof, and make your way down to the wheel wells, so the dirt doesn’t accumulate where you’ve already scrubbed. Separate the surface into sections to allow more focused attention. Rinse the car with fresh water from the second bucket, or spray the surface clean. A chamois or microfiber towel will give you an evenly dry surface before you move to the next step. Go over the car with a layer of polish to get a smoother, more even shine that brings out the paint’s natural oils. Follow the same steps you did with the initial application, moving a microfiber rag in a circular pattern to attract dirt. The cloth should be folded into quarters and flipped frequently to avoid buildup. Keep extra towels on hand in case residue gathers too quickly. 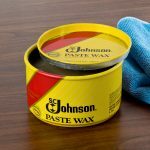 Put a half dollar-sized bit of polish on a poly wax applicator. 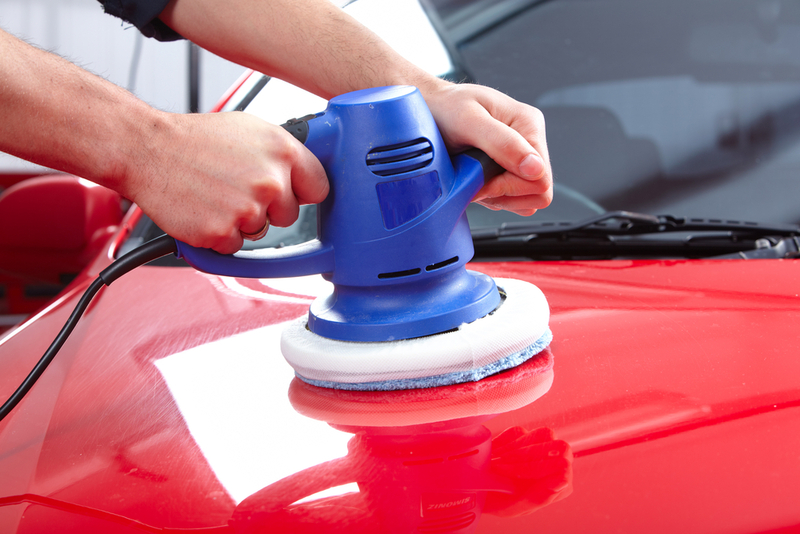 Lightly spread the wax over the car’s surface, using circular motions to spread an even covering. To make sure you don’t miss any spots, divide the job into smaller sections. Once the wax comes off clear to the touch, you’re ready to buff it with a clean, microfiber towel or an automated buffer. 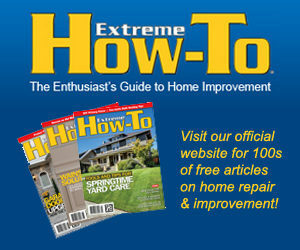 Finish the job by treating interior stains and running a hand-operated vacuum over the seats and floor of the car. If you don’ t have one on hand, drive to a nearby gas station to use one for less than a dollar in quarters. Toothbrushes and cotton swabs can get any dirt you missed. Go over cloth seats with a fabric treatment spray to fend off stains in the future — especially if you’ve got kids. Car detailing probably seems like much less of a mystery now that you know some of the trade secrets. Now, find a cool, shaded spot, and bring your arsenal of cleaning tools to shine your chariot to a glossy, brilliant sheen. Vince Lapinski serves as President of CleanTools. Vince has years of experience in the auto industry and is a lifelong car enthusiast. Clean Tools produces a variety of automotive cleaning and drying products including “The Absorber” a microfiber cloth with over 700 5-star reviews on Amazon.